I began kayaking in 2011 and fell in love with it! I would paddle on a smaller waterway close to my home. It was a beautiful creek to paddle and winded through a lot of rural, natural landscapes, however, this creek was filled with so much garbage. I began researching about this local waterway and discovered it was rated the 2nd most polluted waterway in America in 2000! This fact really affected me and one year later I was organizing a major cleanup project on this creek. 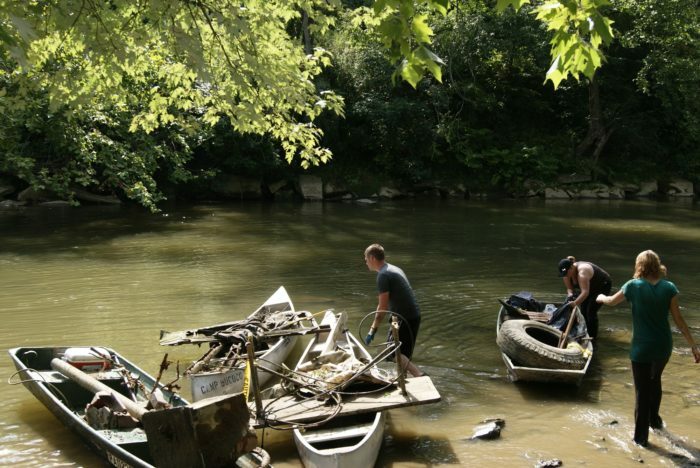 The Connoquenessing Creek Cleanup Project started in 2012 and in 6 years over 360,000 pounds of garbage, including over 4,000 tires have been removed from this precious waterway!